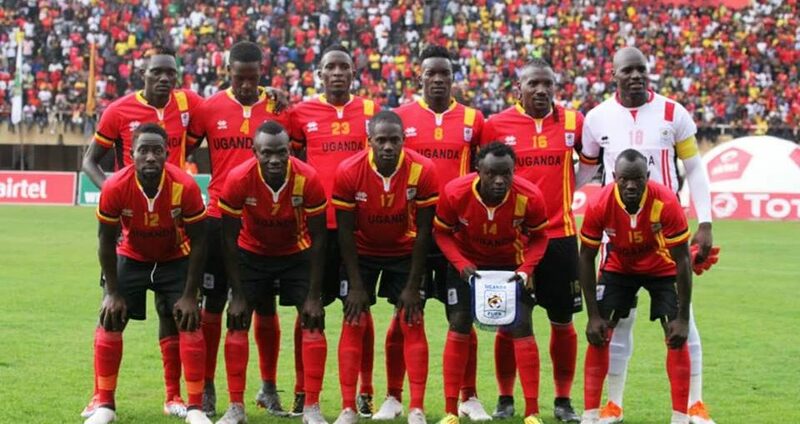 NAMBOOLE – With just a few days to the crucial AFCON qualifier against Cape Verde the Uganda football National team, the Cranes on Tuesday conducted their first training session with all 25 expected players available. The arrival of the remaining South African players Denis Onyango and Allan Katerega, Egyptian duo of Isaac Muleeme and Derrick Nsibambi , European based player Farouck Miya, Milton Karisa and Salim Jamal on Tuesday early morning ignited steam among the fellow players and the technical team as well. Speaking to the media Cape Town’s Allan Kateregga said that their motive right now is to play at AFCON and make the country proud. “All we want is to play in AFCON again and make our fans and country proud. Said Kateregga. The dread locked player also added that being called for national duty is a joy for him and when given a chance on the starting squad he promises to play with heart out. “I get over joyed whenever I appear on the cranes summoned squad so when the coach puts me on the starting line up, I can’t disappoint. He added. The Players had a gym session in the morning at Kabira Country club and latter headed to Namboole for the training session in the afternoon. Cranes are on top of Group L with 10 points and need one point from the remaining two fixtures to seal qualification.